Sheila is a licensed Speech-Language Pathologist at Progressive Therapy in our Blackstone and Farmville, VA locations. Sheila has a Bachelor of Arts degree with a minor in Religious Studies from Randolph-Macon College, in Ashland, VA and a Masters of Education in Speech Language Pathology from the University of Virginia. Sheila had an internship at Duke University Medical Center and she holds a Certificate of Clinical Competency from the American Speech-Language-Hearing Association. 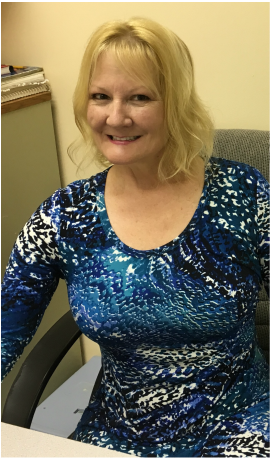 Sheila’s past work experience includes inpatient rehab, outpatient rehab, long-term care settings, and extensive experience with CVA and TBI diagnoses. Her specialties include adult neurology, dysphagia (swallowing disorders), and TBI (traumatic brain injury).